Switch up your basic LBD with this bodycon. 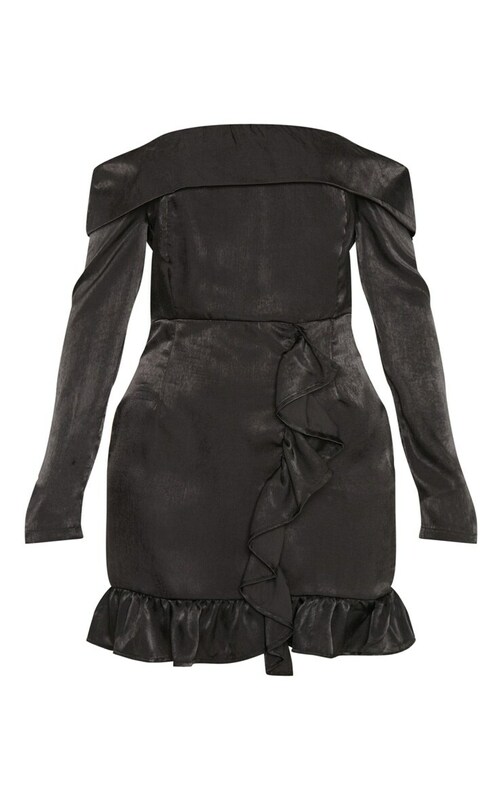 Featuring a black satin fabric, bardot neckline and frill detailing. We love this styled with gold strap heels and statement earrings for a boujee OOTD.